Happy Hour for Ghana as The Barman TV launches to showcase bartending talent from across West Africa. Time Out Accra's Tash Morgan-Etty meets Accra's leading bar scene makers. West Africa’s burgeoning bartending trade is getting a big boost through a new and unique reality TV show, which showcases the region’s masters of cocktail making. 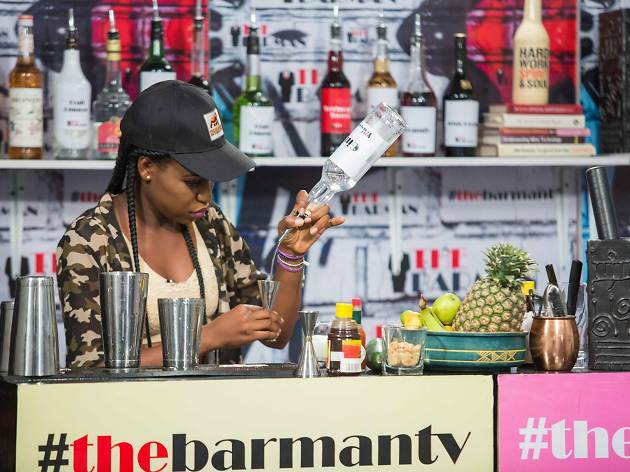 The Barman TV features over 80 bartenders from Ghana, Nigeria, Sierra Leone & Liberia battling it out for the top prize of an all-expenses paid trip to the European Bartender School in London. Experienced spirit industry professional and TV Presenter, Mark Barrett is The Barman TV’s host. Judges include Caesario de-Mederios, the show’s creator, who is a spirits industry professional, and certified wine and spirits educator; Lara Rawa, a lawyer, bartender, and founder of Lagos Cocktail Week; and Accra-based Chris Beaney, previously the manager of Crazy Homies and Lucky 7 in London, and currently President of the Ghana Bartenders Guild, and manager of Burger and Relish Restaurant and Bar in Osu. Time Out Accra caught up with Mr. Beaney to find out what his hopes are for the show and Ghana’s contestants. You’ve been hard at work over the past five years training and mentoring young men and women in Accra to craft cocktails with care, and setting the bar (pun intended) for all drinks staff in Ghana to aspire towards. What would you like to see from Ghana’s contestants on The Barman TV? I’m hoping that the Ghanaians will be the best among [the contestants] with their own identity, and style that stands apart. I’d like to see them show their peers from other countries how skilful they are by using the correct techniques, and looking good behind the bar specifically because their technique is on point. I’ve always tried to emphasise technique before attitude or personality, and I hope that comes through with all of Ghana’s contestants… just some kind of uniformity in their technique and approach. What do you hope to achieve through your involvement in the show? I’m interested to see what the West African counterparts will come up with, and connect with the bar scene across West Africa. I believe in positive criticism, and encourage anyone I train not to be deterred no matter their level. As long as they have passion and drive, that’s what counts. 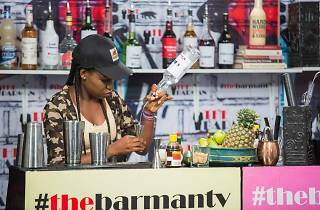 The Barman TV aims to encourage West African bar talent, and develop it so that we can compete on the same level as European and US bartenders. So, the most important part of the show for me is to nurture talent, so that these contestants can take up international apprenticeships, just like Tapatheo Yamekye, Bar Manager of Burger and Relish, did when he took take part in The Tales of the Cocktail® Apprentice Program in New Orleans USA in July last year. Auditions for The Barman TV were held in January 2017 and the show starts filming this April. To find out more about how Ghana’s contestants fair in the competition stayed tuned to Time Out Accra. To follow The Barman TV visit the show’s website or Facebook page.